Last year, the Grace Church in Wooster, Ohio (Nick Cleveland, lead pastor), started the #forwaynecounty initiative, a campaign encouraging small groups within the church to find a way to serve in the community and to get others involved as well. Jamie Leach, a member of the church, is a part of a small group made up of four families, all with children around the same age. Jamie, who is already actively involved in several service and community outreach projects, eagerly started doing research about a project her whole group could participate in. 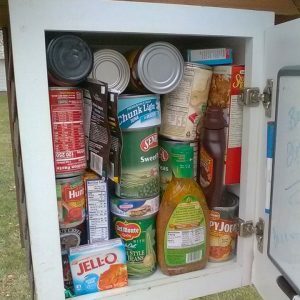 She came upon the idea of a “Little Food Pantry.” It concept utilizes a small, drive-up box – often resembling a large birdhouse – and allows community members to leave or take food items. She pitched the idea to her life group, and they got to work. “We did a lot of research and got turned down quite a bit,” Jamie notes, adding that a lot of businesses were afraid of liability issues. They finally found a place – the parking lot of a centrally located business in nearby Smithville, Ohio. 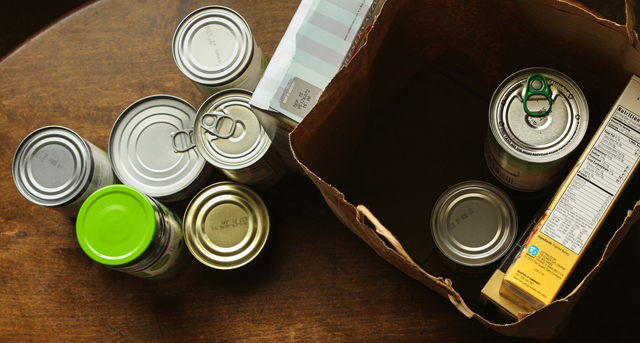 To her surprise, the food pantry immediately took off. “The community just came together,” says Leach. “Every day, more people would post pictures of it [on Facebook]…People would get really creative, leaving whole meals or coupons to local restaurants. There are some businesses in our community who have really jumped onto it, too. Church groups, businesses, 4-H groups, and schools have all contributed. Leach says that the opportunities for service expanded beyond just the food pantry as well – like the woman who had just moved to town and was struggling with medical bills. Once the community caught wind of her need, she was barraged with groceries, Christmas gifts for her children, and even people coming out to fix her furnace. Another example is the business owner who allowed the food pantry to exist on his property. His parking lot was getting worn down from all of the extra traffic. Leach decided to post the need on the Pantry’s Facebook page, and within two hours, someone from the community came and graveled his lot free of charge. Leach considers the food pantry a success so far, on all fronts. “It’s been an awesome way for us to give back and let our kids be involved. But it’s also been the start of so many cool things. It’s not just, ‘here’s a can of beans’ – it’s the whole community. 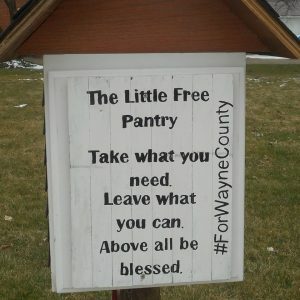 Send a note of encouragement to Jamie, and find For Wayne County-Little Free Food Pantry on Facebook by clicking here.